Rising in Kansas’s Flint Hills, after gathering tributaries through prairie country, the Marais des Cygnes River enters Missouri and soon after becomes the Osage River. It cuts a meandering course through the northern Ozarks, before dumping into the Missouri River. It’s a big, turbid river with a turbulent history. Changes caused by massive water resource development have rarely been examined with a sharper focus and never better illustrated. Two-thirds of the Osage River lies buried under the waters of two massive reservoirs. Forty feet beneath Lake of the Ozarks is (was) the town of Linn Creek. Truman Dam, just above that impoundment, inundated a 10,000 year record of Indian occupation and mastodon and megafauna bone beds scientists likened in importance to the La Brea Tar Pits. Harry S. Truman’s big pond also covered the only known spawning beds of a living fossil, the paddlefish. That Army Corps of Engineers project, which had a troubled history from its inception, was sued in federal court in 1972 by the Environmental Defense Fund, the Missouri chapter of the Wildlife Society, several area farmers and a nature photographer. 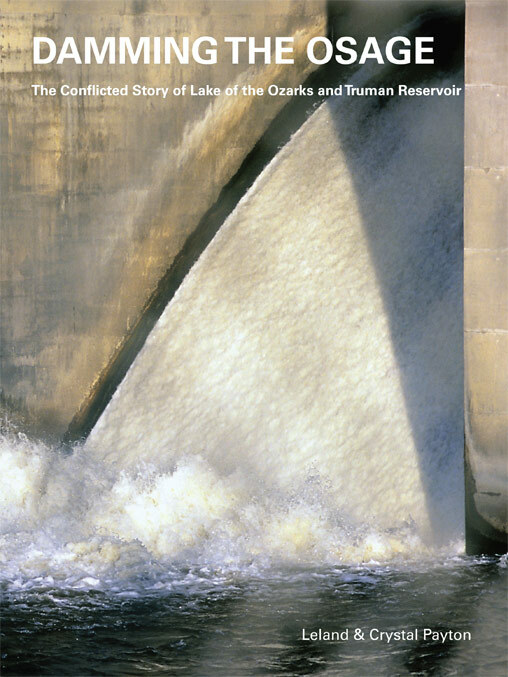 Thirty five years later, that last plaintiff would co-author this 304 page book relating the inside story of that lawsuit and other battles over the resources of the Osage valley. Before the America era, the Wah-Zha-Zhe, the Indians whose name Europeans pronounced “Osage”, not only controlled the river, they projected military power over a huge area of the Midwest and upper South. French and later Spanish efforts to colonize the region were thwarted by this warrior nation. Known today for their oil riches, their astounding geopolitical importance when they lived along the river of their name, the authors contend, should be accurately recalled and not distorted by fables. Damming The Osage presents scientific objections to multipurpose dams. The book also protests the lack of realism in popular history, journalism and advertising. This critique, the Paytons acknowledge, is derived from Mark Twain, the arch enemy of Romanticism. The region’s history certainly abounds in the kind of characters and action Twain loved. Bushwhackers and Jayhawkers burned each others’ towns throughout the Osage valley during the Civil War. The Younger brothers and Pinkerton detectives had a deadly shootout at Roscoe. Merchants and farmers became bitter adversaries over dams. The mania local businessmen had for dam building evolved from their great grandfathers’ enthusiasm for improving the river for steamboats—which failed. The Paytons agree with Twain that American history, raw and contentious as it may be, demands truthful literary treatment. 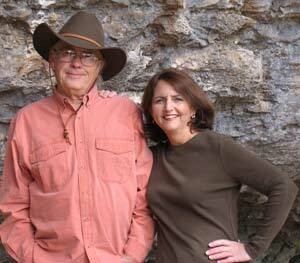 Leland and Crystal Payton have published a dozen books on popular culture and regional history. All are extensively illustrated with contemporary and vintage photographs, maps, art and artifacts. Like other Lens & Pen titles, Damming the Osage is a quality, all color volume produced by a fine art-book printer. 304 pages 7.5 x 10 435 color illustrations $35. Download a high resolution TIFF of the authors.